Converging Roads is a regional conference series offering continuing education for health care professionals that equips them to practice the highest ethical and medical standards of their profession. To learn more about Converging Roads, click here. A special White Mass, which is offered for health care professionals and others involved in the medical field, is an opportunity to reflect on the role of Catholics in health care, as well as an opportunity for community-building and support.To learn more about the White Mass, click here. "The conference provided an opportunity for all of us who 'converge along this road' ministering to patients at the end of life to listen and learn from one another. 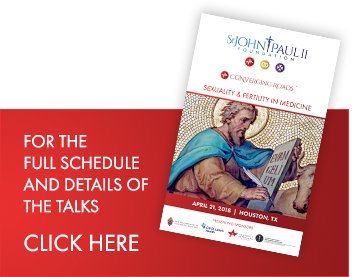 Rarely have I seen physicians, nurses, clergy, chaplains and others come together to learn from experts in the field, and more importantly, share their experiences, struggles and aspirations. The conference left me inspired and hope-filled!" DIANN ECRET, Ph.D., M.S.N., R.N., M.A. Dr. Roland Millare, a native Houstonian, serves as the Director of Shepherd’s Heart Program. Additionally, Roland serves as the Chair of the Theology Department at St. John XXIII College Preparatory (Katy, TX). He has been teaching at the school since it opened in 2004. He also serves as an adjunct professor of theology for permanent deacon candidates at St. Mary’s Seminary. He attended St. Francis De Sales K-8th grade and he graduated from St. Thomas High School in 1999. He received a BA in Theology from Franciscan University in Steubenville, Ohio. He has a MA in Theological Studies from the Notre Dame Graduate School of Christendom College (Alexandria, VA) and a Licentiate (STL) and Doctorate in Sacred Theology (STD) in Dogmatic Theology (with a specialization in Sacramental Theology) at the Liturgical Institute of the University of St. Mary of the Lake (Mundelein, IL). He has published various theological articles and book reviews for the Adoremus Bulletin, Logos, Antiphon, New Blackfriars, and the Heythrop Journal. Roland enjoys the gift of life and love with his beautiful wife Veronica and their two daughters, Gabriella and Karolina, in Sugar Land. Dr. David A. Prentice is Vice President and Research Director for the Charlotte Lozier Institute, Adjunct Professor of Molecular Genetics at the John Paul II Institute, The Catholic University of America, and Advisory Board Chair for the Midwest Stem Cell Therapy Center, a unique comprehensive stem cell center in Kansas that he was instrumental in creating. Previously he served at Family Research Council, and prior to that spent almost 20 years as Professor of Life Sciences at Indiana State University, and Adjunct Professor of Medical and Molecular Genetics, Indiana University School of Medicine. Dr. Prentice received his Ph.D. in biochemistry from the University of Kansas, and was at Los Alamos National Laboratory and the University of Texas Medical School-Houston before joining Indiana State University where in addition to his research and teaching, he served as Acting Associate Dean of Arts and Sciences and Assistant Chair of Life Sciences. He has been recognized with various awards, established Stem Cell Research Facts, an educational website providing scientific facts about adult stem cells, and is a founding member of Do No Harm: The Coalition of Americans for Research Ethics, and an advisory board member for the Center for Bioethics and Human Dignity. DiAnn Ecret joined the National Catholic Bioethics center as the nurse planner and adjunct lecturer ethicist during the summer of 2016. DiAnn graduated from Our Lady of Lourdes School of Nursing in 1987, completed her BSN & MSN from Wilmington University, an MA certification in theology/ethics from Villanova University, and is currently a PhD candidate in Health Care Ethics at Duquesne University in Pittsburgh, Pennsylvania. DiAnn successfully defended her proposal: Using an Ethics of Care to Re-interpret Consent in the Management of Care for Addiction Disorders in March of 2017. DiAnn has 30 years of combined nursing experience in pediatric and adult critical care, nursing management and nursing education. DiAnn is full time nursing faculty member at Thomas Jefferson University/ Jefferson College of Nursing, she teaches undergraduate and accelerated BSN students, presents ethical decision-making strategies for the new employee nurse residency program at Thomas Jefferson University Hospital and she is a member of the Hospital’s ethics committee and ethics committee restructuring team.Additionally, DiAnn completed a two year ethics residency program at the Veterans Administration Maryland Healthcare System (VAMHCS), as an Integrated Ethics Team Member; she participated in ethics rounds with the University of Maryland’s Health Care system’s medical team and co-chaired/ coordinated two fiscal year preventative ethics quality improvement plans. DiAnn has 4 children and lives in New Jersey with her husband and sons. Maureen Condic Ph.D. is an Associate Professor of Neurobiology and Anatomy at the University of Utah, School of Medicine, with an adjunct appointment in the Department of Pediatrics. She received her undergraduate degree from the University of Chicago, her doctorate from the University of California at Berkeley, and postdoctoral training at the University of Minnesota. Since her appointment at the University of Utah in 1997, Dr. Condic's primary research focus has been the development and regeneration of the nervous system. In 1999, she was awarded the Basil O'Connor Young Investigator Award for her studies of peripheral nervous system development. In 2002, she was named a McKnight Neuroscience of Brain Disorders Investigator, in recognition of her research in the field of spinal cord repair and regeneration. In addition to her scientific research, Dr. Condic teaches both graduate and medical students. Her teaching focuses primarily on embryonic development, and she is Director for Human embryology in the University of Utah, School of Medicine’s curriculum. Dr. Condic has a strong commitment to public education and science literacy. Alexis Simon, MD, of Novant Health Triad Obstetrics and Gynecology, attended undergraduate and medical school at the University of Missouri – Columbia before completing residency training at Mercy Hospital – St. Louis. She then completed the Saint John Paul the Great Fellowship in Natural Procreative Technology at the Pope Paul VI Institute in Omaha, Nebraska. She practices full spectrum obstetric and gynecologic medicine with a special interest in endometriosis and infertility following the teachings of the Catholic Church, in Winston Salem North Carolina. When not busy working, she enjoys spending time with her husband, Don, and children Chase, Adalynn, Bryce, and Eden. This activity has been planned and implemented in accordance with the accreditation requirements and policies of the Accreditation Council for Continuing Medical Education (ACCME) through the joint providership of Christian Medical & Dental Associations and St. John Paul II Foundation. The Christian Medical & Dental Associations is accredited by the ACCME to provide continuing medical education for physicians. The Christian Medical & Dental Associations designates this educational activity for a maximum of 7 AMA PRA Category 1 Credits(s)™. Physicians should only claim credit commensurate with the extent of their participation in the activity. AAPA accepts certificates of participation for educational activities certified for AMA PRA Category 1 Credit(s)™. by an organization accredited by the ACCME or a recognized state medical society. Physician assistants may receive up to 7 credits for completing this activity. Provide empirical data as to when life begins. Review data that supports the claim that life begins at fertilization. Identify and rebut common arguments against the belief that life begins at conception. Review the types of stem cells and stem cell treatment options that are currently available for clinical care. Consider the ethical implications of using stem cells for this patient population. Describe the current status of bench research and medical application of treatment of disabilities with stem cells. Discuss the true meaning of freedom according to the classical ethical tradition. Describe a well-formed conscience and the basic human right to discharge one’s conscience. Identify threats to conscience faced by medical providers today. Identify protections and legal rights of medical providers in the face of threats to the right to serve. Describe ways in which the medical team can help parents prepare following poor prenatal diagnosis. Consider the ethics, legal, and medical criteria involved with prenatal diagnosis. Identify new technologies and safe options for prenatal diagnosis. Describe the medical options for a family struggling with infertility. Provide insight into the emotional and psychological suffering associated with infertility. Identify best practices for medical treatment, psycho-social support, and intervention on behalf of patients. Describe IVF and the foundational rationale for why IVF is a “life” issue. Identify the rules and side effects of IVF. Discuss infertility and IVF within the context of the principles of maximizing the good and doing no harm. Identify medically successful alternatives to IVF. Describe the physiological causation of ectopic pregnancy. Discuss the moral challenges of ectopic pregnancy. Identify morally and medically appropriate interventions available to the provider and the patient. The National Association of Catholic Chaplains has approved this program for 7 Continuing Education Hours. Please be sure to select the General Admission or Clergy/Religious (if applicable) ticket option and request a certificate of completion on your registration form. For questions, please email susie@forlifeandfamily.org. The St. John Paul II Foundation can provide a certificate of completion for up to 7 hours of continuing education for social workers. Please be sure to select the General Admission or Clergy/Religious (if applicable) ticket option and request a certificate of completion on your registration form. For questions, please email susie@forlifeandfamily.org.